EVERETT, Wash. (KCPQ) -- Dozens of needles were found on campus over the weekend at Everett's Evergreen Middle School. 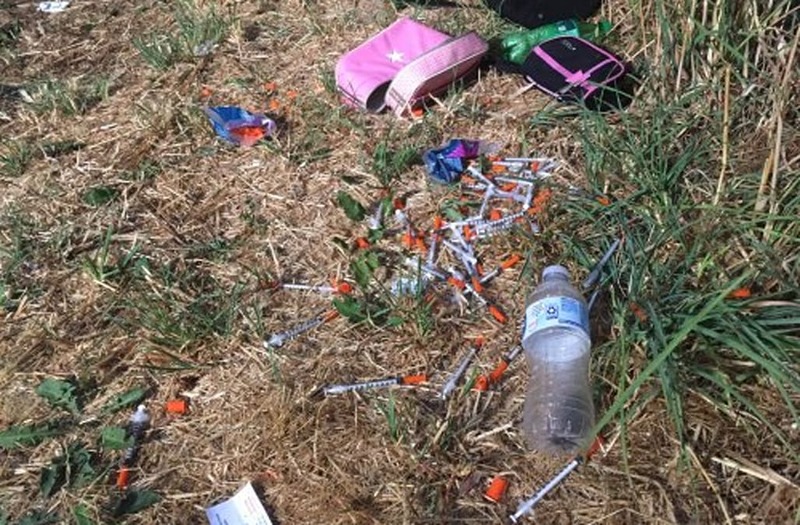 Photos of the needles were posted to a Snohomish County crime page on social media. The post quickly racked up hundreds of comments from people who said they were shocked and horrified that this could happen on school property -- potentially putting students and others at risk. The needles were next to the school's track and near a football field. Regular school is not yet in session, but summer school classes begin at 8:00 a.m.
We're told school officials have been notified about the needles and will be cleaning them up before school starts. The opioid crisis is sweeping the nation and Everett is not exempt. A local business recently sparked controversy when its sign said "Welcome to Tweakerville." He told Q13 News that he and his business have had enough with drugs and crime in Everett.